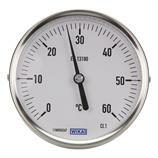 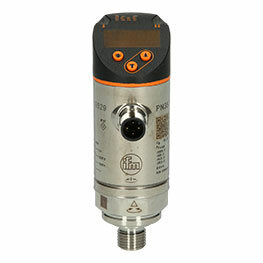 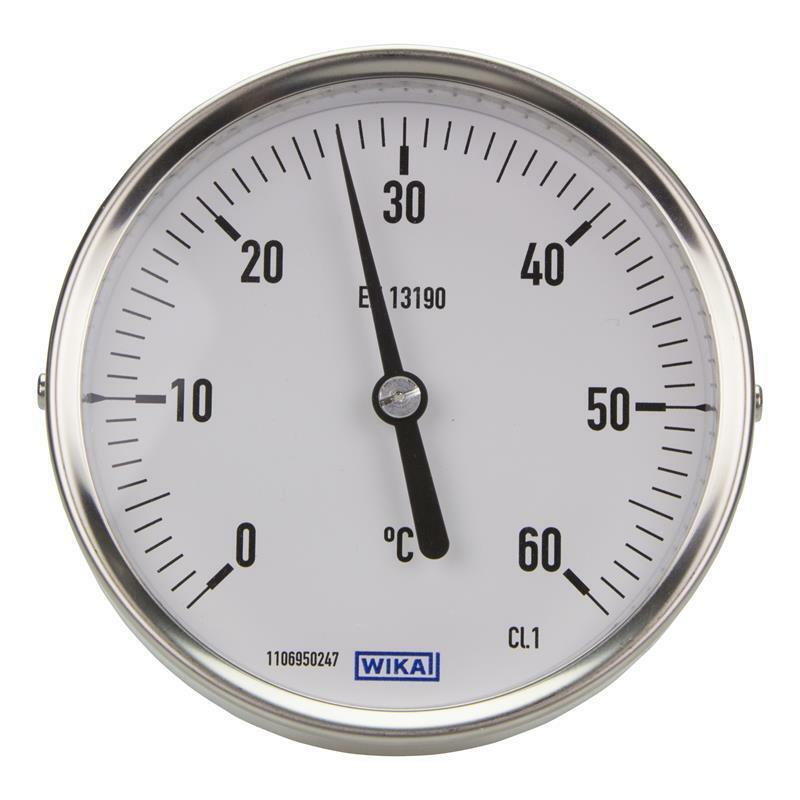 The stainless steel A52.100 - 3904091 bimetal thermometer from WIKA in the nominal size 100 mm has a scale range of 0-60 °C. 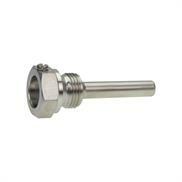 The unit with an 8 mm stem diameter has an installation length of 63 mm and features axial back mount. 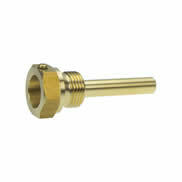 A thermowell is required for mounting. 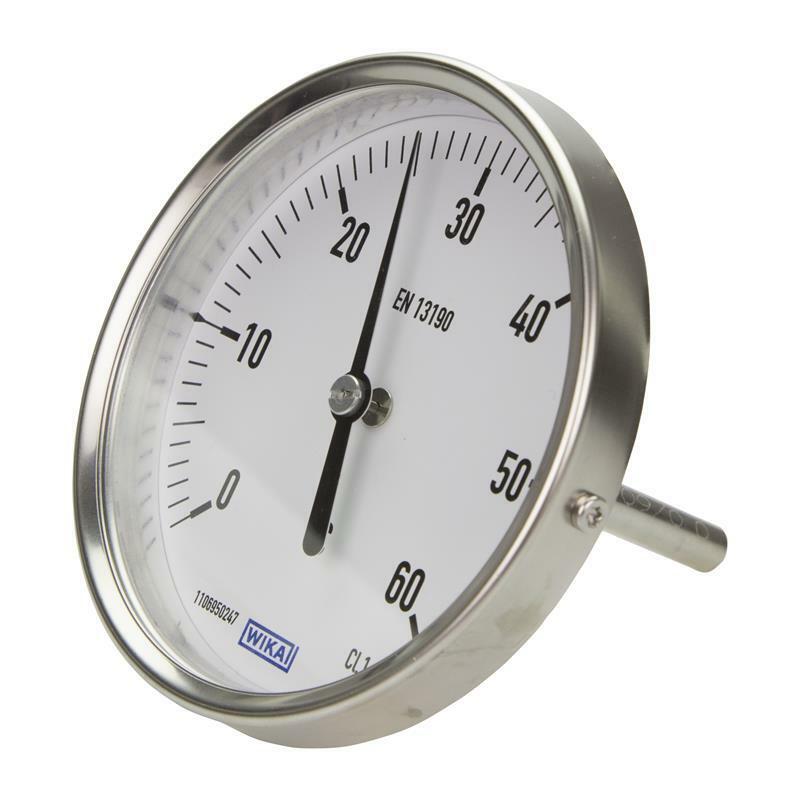 The industrial grade A52.100 - 3904091 bimetal thermometer is often used in machine building, vessel, piping and apparatus construction as well as in domestic and industrial heating.